He's likely not fluffed up because he's cold, we already know that he's sick and this is why he's fluffed. Keep medicating him as the vet directed. You CAN add a heat source which will help him conserve energy. Do you have a small hospital cage for him? Add a heating pad to the bottom of the cage, and cover the cage on three sides. This will help keep him warm and he won't spend so much energy trying to regulate his temperature. Unfortunately, i do not have hospital cage or heating pads &#x1f61e; Would placing a lamp near the cage help? Maybe i cover it with something so i prevent the light? Sorry that your budgie is still ill, where you able to see an avian vet or was it a vet that just sometimes treats birds? Do you need assistance in finding an avian vet? It would be best to find an avian vet or one that has a lot of experience with birds. It is possible that the problem is not bacterial and if that is the case an antibiotic will not help the problem. There are medicines that can be given to help with vomiting but the root of the problem needs to be discovered for proper treatment. Once that is determined it may be better if the vet gives a medication that can be administered directly by you into the birds mouth, that way you are sure of how much the bird is getting into his system. You might try giving some spray millet that has been soaked in the medicated water you currently have. Hi I’m sorry that your budgie is seek. 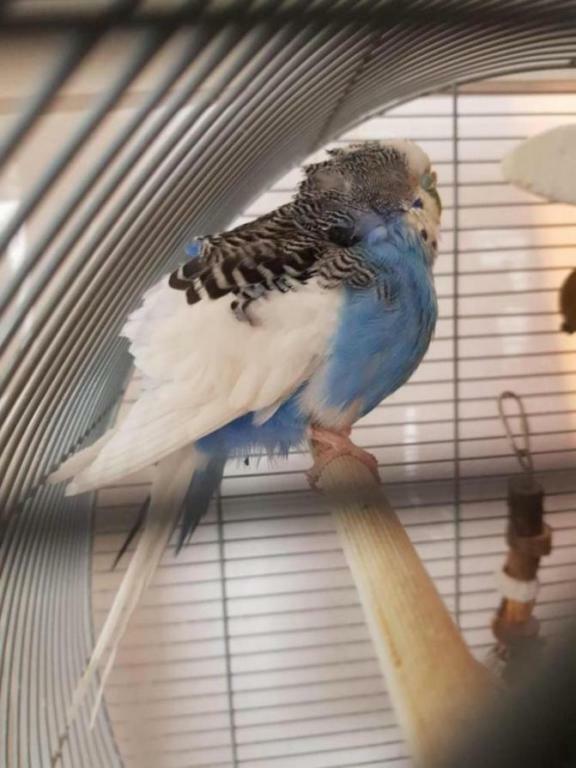 I once had a problem with one of my budgies the vet prescribed him an antibiotic that I can’t remember its name, but I will post its name when I remember. Anyway the vet told me that since budgies doesn’t drink a lot of water, I should keep him without water for 3 hours and then give him the water with the antibiotic in it. That way he will be forced to drink it. He also said that the antibiotic will lysis (break) after couple of hours in the water and that’s why it’s best if he drinks the water ASAP. Please don’t try this method until you check with your vet as this might be a wrong method.